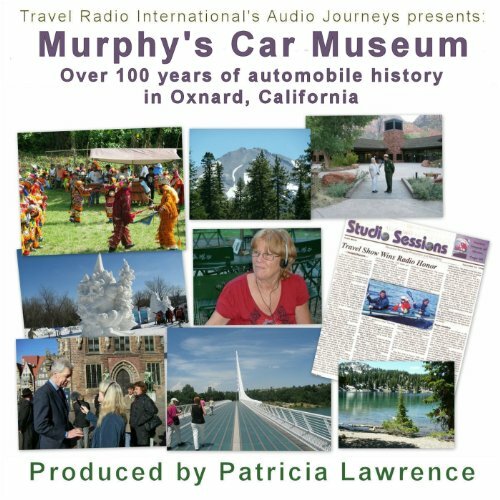 A collection of now-defunct Packard automobiles from 1941-1956 are just several of the 50 antique, restored automobiles that can be found at retired neurosurgeon Daniel Murphy's Oxnard, California museum, where Travel Radio International's Patricia L. Lawrence goes behind the wheel and under the hood of these vintage rides in an enlightening audiobook. Murphy's expertise and Lawrence's convivial tone, as well as her genuine curiosity and ability to ask intelligent questions, will appeal to automobile enthusiasts or anyone with a fleeting interest in classic cars. Over 100 years of automobile history are celebrated at Murphy's Car Museum in Oxnard, California. There are over 50 cars in the indoor museum that visitors can get close to and sometimes sit in.